800-Pound Weight Bench Just $80.90! Down From $119! PLUS FREE Shipping! You are here: Home / Great Deals / Amazon Deals / 800-Pound Weight Bench Just $80.90! Down From $119! PLUS FREE Shipping! Head over to Amazon to score this 800-Pound Weight Bench for just $80.90 down from $119 PLUS FREE shipping! Step up your upper-body workout with the Fitness Reality 1000 Super Max Weight Bench. Ideal for dumbbell workouts and other strength-training exercises, this bench supports up to 800 pounds and features 12 backrest angles. The Fitness Reality 1000 Super Max Weight Bench is built to last and can support up to 800 pounds. The front leg has 2 adjustable positions which will double the number of backrest angles to 12. 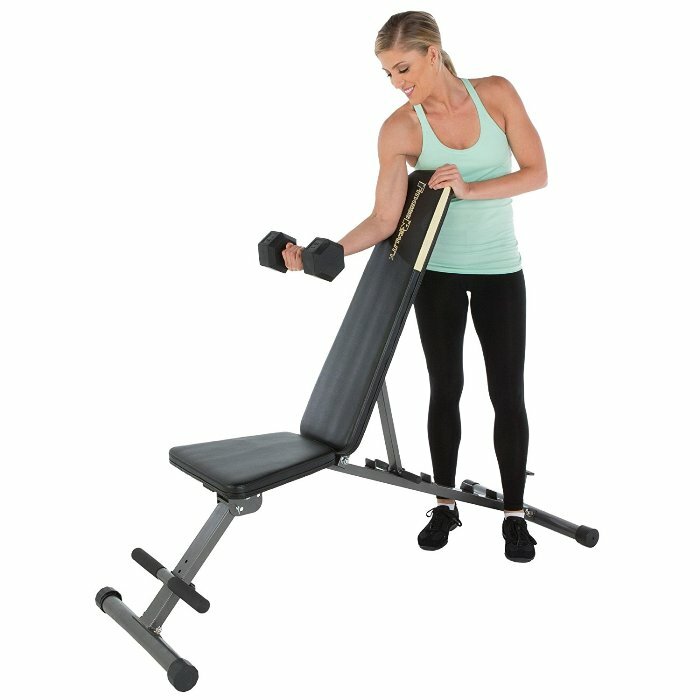 The bench will enhance your upper body workout and is perfect for dumbbell and other strength training exercises. So, get one of the strongest benches around for the price and try the Fitness Reality 1000 Super Max. 800 lbs real weight capacity. User height up to 6’4 inch; Set up Dimensions: 59″L x 23.5″W x 48.5″H ; Carton Dimensions: 52″L X 17″W X 10″H .